Microsoft's latest edition of SmartGlass is now available on most mobile devices (sorry, Blackberry users). SmartGlass hasn't exactly been a runaway hit for Xbox 360 users. 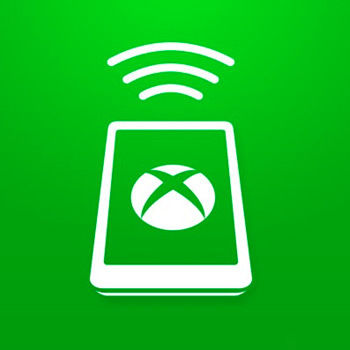 But the Xbox One has a much more impressive list of features, so Microsoft's mobile app may become an important part of the Xbox One's ecosystem. And, if you'd like to get a sneak peek at SmartGlass's latest update, now is your chance. Today, the app was released for Android, Windows Phones, and iOS. The iOS edition of SmartGlass weighs in at a hefty 40.8 MB, while the Android version is a slim 14 MB. Windows Phone users, on the other hand, will have the lightest version of SmartGlass. Their download will only cost 13 MBs of space. For those of you who might not be familiar with SmartGlass, here's the gist: The app basically turns your tablet or phone into a fancy remote for the Xbox One. It gives you access to the Xbox One's media center, and launches a keyboard and touchpad when browsing the internet. Plus, it allows players to check out their in-game DVR clips and achievements. I'll admit that I'm still a little skeptical of SmartGlass. The last version had a slew of performance issues, and it never really lived up to the hype. And, even though I'm willing to give the Xbox One edition a second chance, I'm doubtful. After all, the Xbox One already includes a voice-activated, picture-in-picture mode. Do I really need to add a third screen?